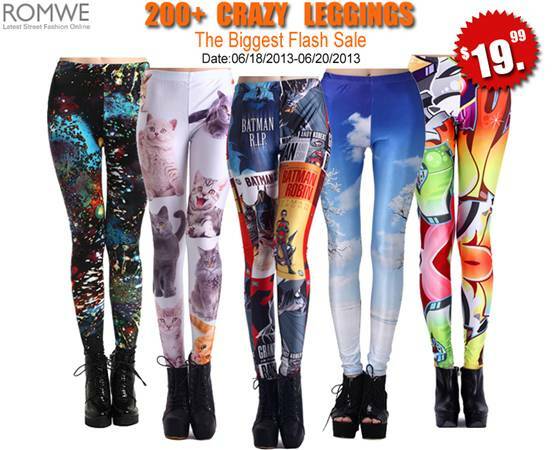 Romwe decided to offer a flash sale on 200 crazy leggings. Flash sale always makes people excited, everyone loves it. So hurry!